Learning the proper way to cook a top sirloin roast is going to help you turn this cheaper cut of beef into a fabulous family dinner! Cooking a sirloin roast is probably one of my least favorite things to do. Let’s face it, sirloin roasts are not the best roasts. They don’t fall apart into delicious pieces after a long, slow cook like chuck and blade roasts do. They also are the least inherently tender cut of roast, so it won’t be delightfully tender like a prime rib roast. So I don’t buy sirloin roasts. However, my husband accidentally does. Two roasts, in fact, after a trip to the grocery store. I took one look at them and sighed. I am super lucky that Mike happily (ok, happily might be pushing it) does the grocery shopping, so who am I to complain when he shares the workload? So here I was, stuck with the cut of roast that I like the least. However if there is one thing that I have learned, when life gives you roasts, eat them. I figured that I would cook it exactly like my method in my popular post How to Cook A Prime Rib Roast. That post is one of my most popular ones come the holiday season, and for good reason. There is nothing worse than wrecking a roast for dinner! Sirloin roasts are also more affordable. Who can afford to have prime rib for dinner every week? Not this kid. So learning to cook a sirloin roast the best possible way is also in my bank accounts best interests. Like my Dad said, I am the classic “Champagne taste on a beer budget” kinda girl. OR even better, a “Prime Rib taste on a sirloin tip budget” kinda gal. Take your pick, they both apply to me! So learning how to cook a sirloin roast is a life skill, my darlings. The real key is getting the temperature right on the roast. You need to pick the doneness you want – and remember to let it rest for 20 minutes. This is the most important part. Pull it out 10 degrees before your desired doneness and let this roast sit in the roaster, cooking some more but also allowing the juices to disperse evenly throughout the roast before you carve it. Blue in the middle– 110 degrees – when the middle of the roast still “quivers” I can eat blue steak like nobody’s business. Pretty sure it’s my low iron. Rare- 120-125 degrees in the middle. Red, bloody and delicious! The roast is warm all the way through. Medium-rare– 130-135 degrees in the middle. The center is pink, with slight brown towards the outside. See the photos of the roast in this post. Medium – 140 degrees in the middle. Barely pink with brown to the outside. 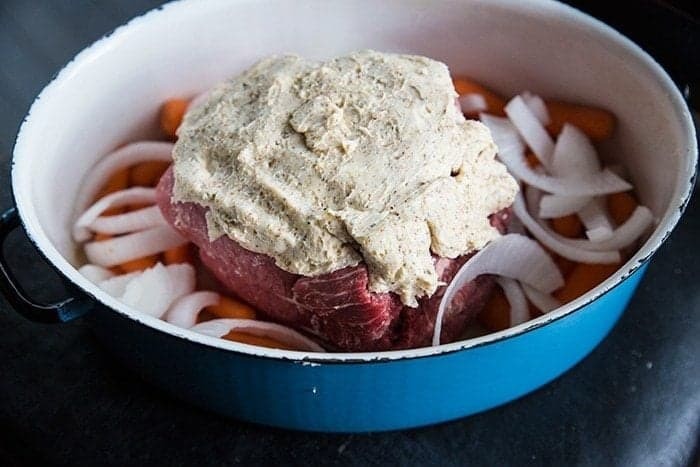 A top sirloin roast done in this low and slow method will take you approximately 20-22 minutes per pound of meat, but of course that will depend on your oven and how it cooks. So a 6 lb roast will take around 120 minutes ( 2 hours) to cook. This also depends on the thickness of your roast, if you let it come to room temperature and a lot of other factors. Use a good thermometer and start checking after the hour point of cooking. This was an excellent sirloin roast that the entire family loved, so I am confident that that second roast that Mr Magpie bought at the store is headed to the oven fairly soon, and in the exact same manner. 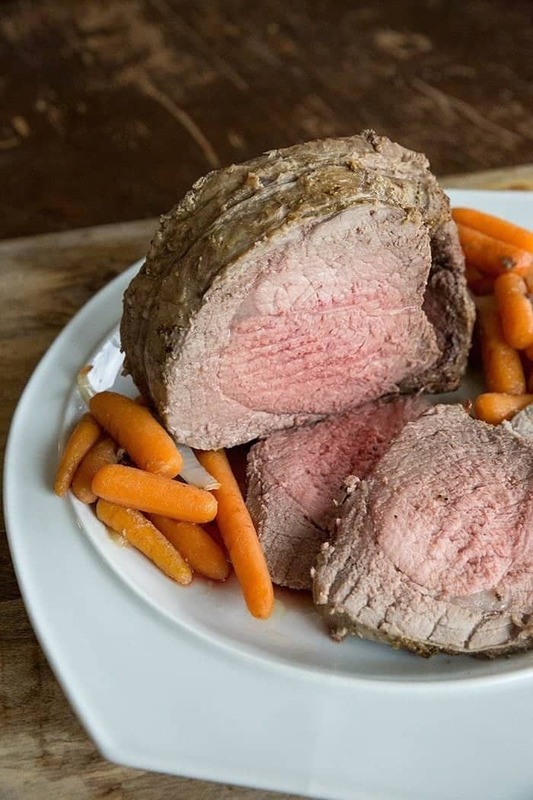 Let’s face it, learning how to cook a sirloin roast properly will still never yield you a prime rib quality, but at least it’s going to be as delicious as you can get for that cut of roast! PIN THIS RECIPE to your DINNER RECIPES Board and Remember to FOLLOW ME ON PINTEREST! How to cook a perfect top sirloin roast! Sirloin roasts can be tough to cook properly, here is a way to cook it so that it's tender and delicious! Remove your roast from all its packaging and let it sit out for an hour until it’s about room temperature. Combine the butter and seasoning together ( you can use a herb and garlic mix, Italian seasoning, anything that you can think of!) . Cover the top of the roast in the butter mixture. Place the vegetables in the bottom of the roaster. Place the roast in the center of the vegetables. Place in the oven - without the lid! - and cook for 15-20 minutes, until the top of the roast is seared and brown. Turn the oven temperature down to 325 and place the lid on the roaster. Cook to 10 degrees BEFORE your desired temperature - 120-140 - see my chart in the post. Your roast will continue cooking after you pull it out of the oven. Nutritional information will vary depending on size of roast - and the info provided doesn't include any vegetables that you choose to use. This was so easy and turned out so good! Everyone in the family had 3rd helpings! I used less butter as some of the comments suggested. I only used enough to thinly coat the top of the roast. I also added thyme, garlic and rosemary. Even the veggies turned out extra delicious. I will definitely use this recipe again when making a roast. Thank you! Very nice recipe. I come from a family where Sunday night roast beef was always on the menu. This recipe does well at making a lesser cut of meat moist and flavorful. I like that I can make my own spice blend. The roasting instructions and the temps for doness are spot on. My only “beef”, every pun intended is the amount of butter. I cut the amount and would cut it again. I found the gravy had a buttery taste rather than a beefy taste. Overall, lots of good cooking info and a yummy recipe! Is a sirloin top and a sirloin tip the same or similar? The reason I’m asking is because I braised a sirloin tip roast (5 lbs) for Sunday lunch today and it was completely fall apart tender. I seasoned it overnight with seasaoned salt and garlic powder. I floured and seared in a dutch oven with olive oil and cooked on stove top for 2 hours (simmered) and then transferred to oven at 300 deg F to continue cooking for another 2.5 hours. I cooked the roast with lots of onions, peppers, garlic, beef stock, etc. All who ate it thought it was delicious. But perhaps we’re talking about two different cuts of meats? Gee, I find that a top sirloin roast is a great alternative to the much tougher and drier top- and bottom-round roasts I’ve cooked. I’ll happily try your recipe for a change, but I’ve been having great success with this cut of beef for years as a dinner standard. Sure, it’s not prime rib, but compared to a round roast, it’s a slice of heaven. I get my roasts at the local Wegmans, and they rarely disappoint. I hope you don’t scare folks away with your off-putting description of what I find to be a pretty great roast option! I also say it’s great for the bank account and that if you cook it right, it’s an excellent roast. No hate, just honesty about the cut of meat. I can’t have people thinking they will get a buttery soft roast and then get mad at me for a roast that isn’t what they wanted. 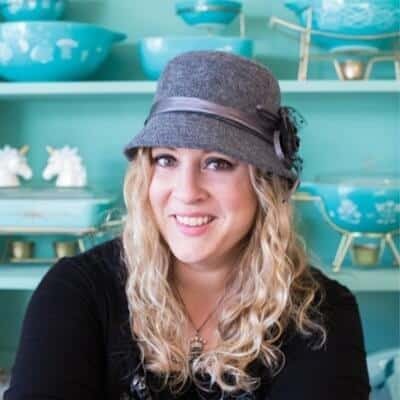 I don’t sugar coat things, my readers depend on me for honesty, not just pretty recipes, so they don’t waste money and time! I mean, if you read below I even have a comment where the roast was gristly and tough…. and that’s not the recipe, it’s the cut of meat. Stacy I totally agree with you. I do not, however, agree with this article’s opening bashing of this cut of meat. Obviously someone wasn’t preparing theirs properly. This is an excellent choice of meat, when you compare cost and quality. Period. I think Sirloin roast is like eating a thick sirloin steak You never ever want to crock these because then you will never get them with any beautiful red inside. When red/pink inside that is when it is the most tender and juicy. I prefer sirloin then any chuck roast and a round is tough and that one is one I would never buy. I only have a 2.34lb roast. Do the times such as the 15 mins at 450 to sear still apply the same and am I right to assume I should start checking the temp at about 30 minutes? And the 20 minute set time? I would sear for about 10 minutes and then yes, start checking at the 30 minute mark, that’s a small roast so it will cook faster. 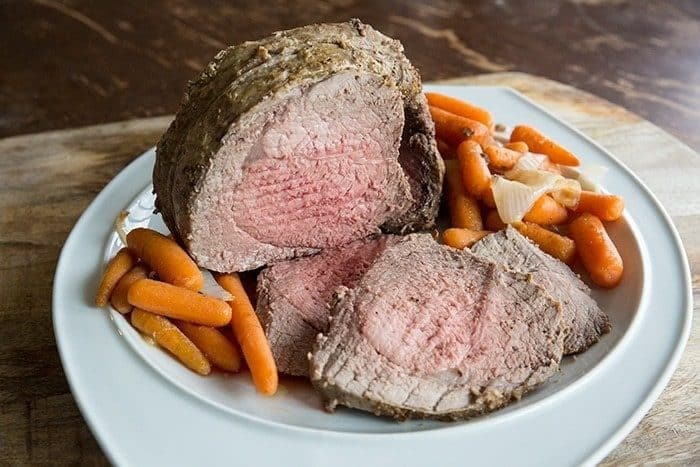 can I cook a boneless top sirloin roast like “Jon” its sit out 6 hours-rub with butter or mayo or oil to make salt pepper and other herbs adhere pot on rack in oven at preheated 500 degrees for 5 minutes per pound then turn off oven and do not open door for 2 hours. Hi, I have a couple questions. I’m cooking for a crowd, and have bought 3 top sirloin roasts. Can I cook them all together in the same roaster (providing they fit) should I make any adjustments? Also I won’t be putting potatoes or carrots in the pan, any adjustments? And last, I will be cutting the roasts and keeping them warm in a buffet server, any suggestions to not have it dry out? Tried this tonight expecting a very moist roast. The finished done ens was medium rare but unfortunately it was extremely fatty which I am not a fan of. I hate cutting around all the grizzle on meat. I seasoned it as well as the butter but it lacked flavor . I tried this recipe as a more economal way to impress guests with a less expensive cut. I would rather stick toa meatloaf or a ham. The recipe was very good and true to cooking instructions. It was worth the try. I’ve followed your advice to a “tee” on how to roast a Top Sirloin, especially ” 10 before ” suggestion, and it came out precisely perfect medium rare, just like in your pic! I followed your recipe for a Sirloin Tip Roast and it was great. Thanks for the tips and inspiration!! I made it for my family a couple weeks ago and it turned out great! I even overcooked it lol. I’m making it again for supper tommorow night. It’s a great recipe I definitely reccomend it. I think what people and I are asking about the temperature and time is: what is the expected time to cook for rare, medium, etc. We get it that it should be 120 for rare and pull it out 10 degrees before. But your listed time is 3hrs. So are we to check every 15-20 minutes to see what degrees the middle is? Each time you pull it out you lengthen the cooking time. Most recipes will give you a general idea how long to cook. Say 20 min per pound, etc. If you cook yours at rare, then you should share how long generally it takes you to cook yours. Would like to know min per lb. and if we are to use a liquid and can it be cooked in a slow cooker?? The last paragraph actually tells you how many minutes per pound. Buy a steak thermometer with a cord and a timer that beeps when the steak is done, takes the guesswork out of it. I bought mine in a local hardware store for $11.99. So no liquids at all? This looks like a good recipe. I have a 12 pound roast so woul this probably cook 5 to 6 hours for medium? Hi! This looks like a great recipe! But it’s vague (unclear) in the blog post and in the recipe instructions WHAT TEMP you REMOVE roast out of oven and what temp the final “Medium” or other meat done-ness is. It’s unclear if you remove it between 120-140 Deg F, or if that is the final resting temperature. It’s not clear in the blog post either. Can you make it more clear? What temp should you remove it and then what should the final temperature be after the resting time. Thanks. Maybe you can edit this post for me and others so we can continue to use your site! Thanks! Right before my little chart of “doneness” that gives you the industry standard for meat temperatures, it also says to remove the roast 10 degrees before YOUR desired temperature. AND then it repeats again in the printable recipe, plus it also says to see the chart to read what temperature you are looking for. While 120-140 is wide, those are the temperatures set by the restaurant industry to indicate Rare to Medium-Rare. You need to read my chart and decide which doneness you like, and then pull it out 10 degrees before that. Each person needs to decide what they want, not me. I’m telling you that THIS type of roast is best cooked to between 120 and 140, and not to go outside those parameters. You need to chose and follow the directions for a great roast! 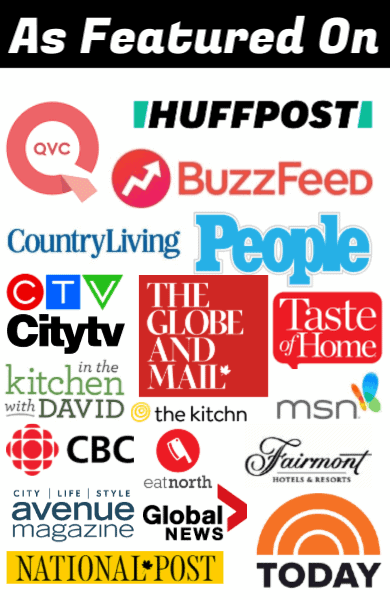 Hello Kitchen Magpie, I just finished reading the Free Press and read a great review and a wonderful article written by Wendy King. Hope you are able to check it out. She shared your Triple Chocolate Chip Cookie Cheesecake Squares. I have saved the article for you or your mom. Again be proud Kitchen Magpie! Awesome I will have to find it! !